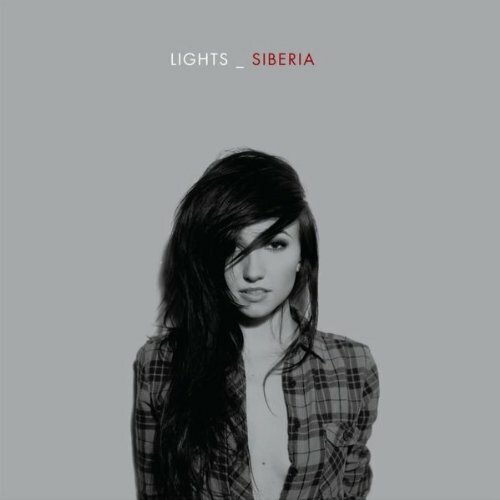 Lights-a.k.a- Valerie Anne Poxleitner, releases her second album Siberia. I feel like I have heard this album several times in the form of some other brainwashed puppet. The only redeemable qualities are this: Lights is on her own personal label and she makes the electronic backing of her horrific voice-that is it. Lights has collected Juno awards and is relatively “critically acclaimed” however besides her two redeemable qualities there is nothing special or significant about her music. Unfortunately Lights isn’t contributing anything to the world of dirty bubblegum pop. Her choice of sound engineerd electronic samplings resembles the sounds of dental work and V.L.T machines, it is quite literally painful to listen to and maybe that is the intention. Her voice is over-edited and doesn’t sound it any way real but by no means immaculate, it has a harsh ring to it and the words she is pseudo-singing are silly and superficial. This is particularly clear in the bubblegum self indulgent radio hit “Toes” and the quasi neo-philosophical “Fourth Dimension”. However no song is predominantly better or worse than the other as it all sounds the same and blends to some grimy club floor nonsense. Electronic-pop is an overpopulated genre already and it baffles me they have room for this one. Perhaps it is a combination of Canadian conduct and the lack of her listeners exposure to stronger music that contribute to why one would feel at all compelled to listen to Lights. After this listening experience I feel like a good shower and some Miles Davis will bring me back to sanity.